Hope you all having a great day and have a wonderful weekend. Today in Cape Town is going to be a scorcher, 34°C . This is where you can really test the durability of your foundation. 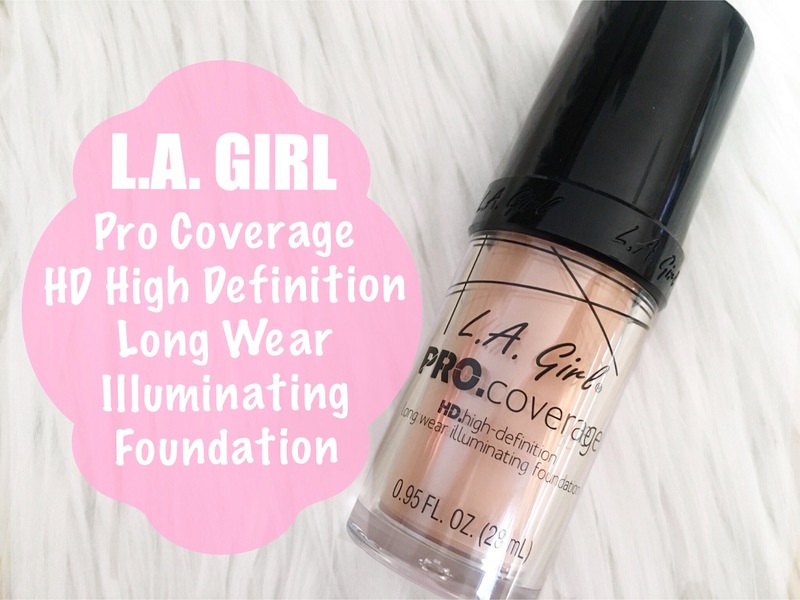 Everyone has been talking about the new L.A Girl PRO.coverage High-Definition Long Wear Illuminating Foundation. (what a mouthful!) I, like most bloggers and girls out there couldn’t wait to try it. 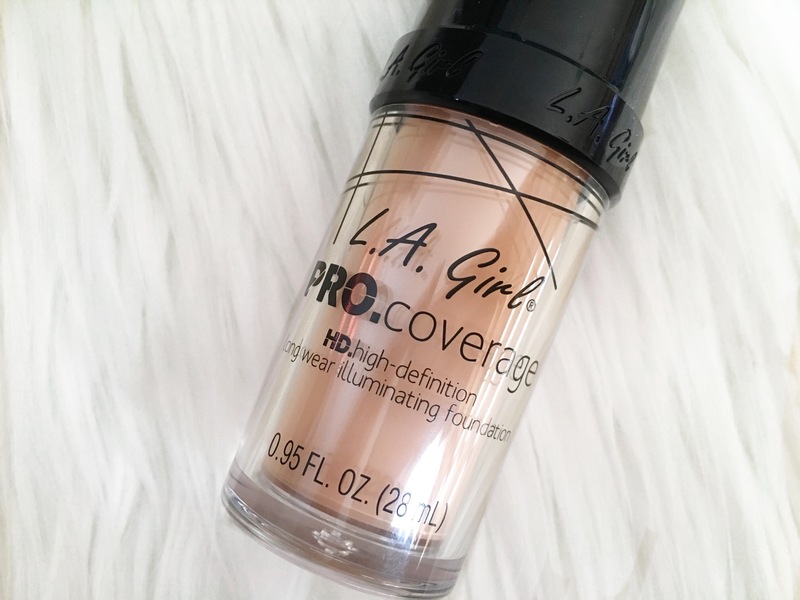 ♥ PRODUCT DESCRIPTION PRO.coverage high-definition long wear illuminating foundation is ideal for a flawless looking, full coverage finish. Lightweight formula is comfortable for all day wear. Paraben free formula with added anti-oxidants helps hydrate and improve the skin’s appearance. Now available to extend the color range even further, an innovative white foundation mixer to adjust and customize color. I think most people were skeptical about the foundation just because it’s a drugstore brand, but i had high hopes for it because the Concealers are one of the best i’ve ever used. 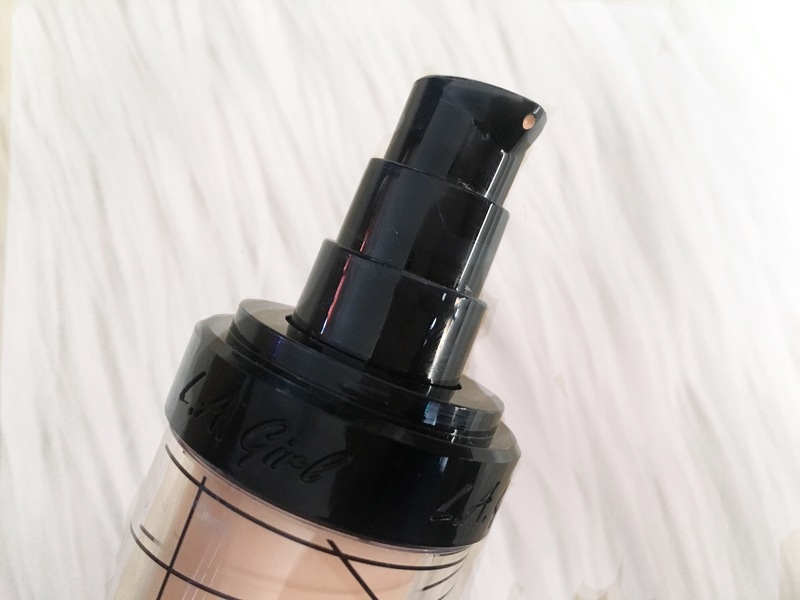 This Foundation is a Liquid Foundation and comes in 15 shades, ranging from Fair, for light skin to Dark Chocolate and even comes in a white shade, White – Lightener, to lighten your foundation if the shade is too dark for your skin. I apply the foundation by pumping product onto a concealer brush as i dont like to use my fingers and dotting it onto my skin. I then use my beautyblender to blend the product into my skin. I am so used to only using Matte foundation but this foundation has a very dewy finish, that surprising is buildable and coverage is amazing. I tend to use maximum 1 and 1/2 pumps for full coverage. As much as i love this dewy foundation i always have and always will set and mattify my foundation with a translucent powder. The longevity of this foundation is amazing, i did a test the other day on another hot day in Cape Town. I applied my foundation at 05:00 in the morning (i start work at 06:00) worked my full 8.5 hours, then went to the 2nd job (my family and I own a coffee shop – i went to help my sister) and still went shopping afterwards, cooked, cleaned etc. I hadn’t needed to touch up my makeup once or blot any oily areas. What i love (!!!) is that this foundation doesn’t oxidise at all. I have battled in the past with a lot of foundation that have looked great in the morning with my skin tone and come the end of the day and my jawline/neck area look orange and it sticks out like a sore thumb. But nope, not with this foundation. 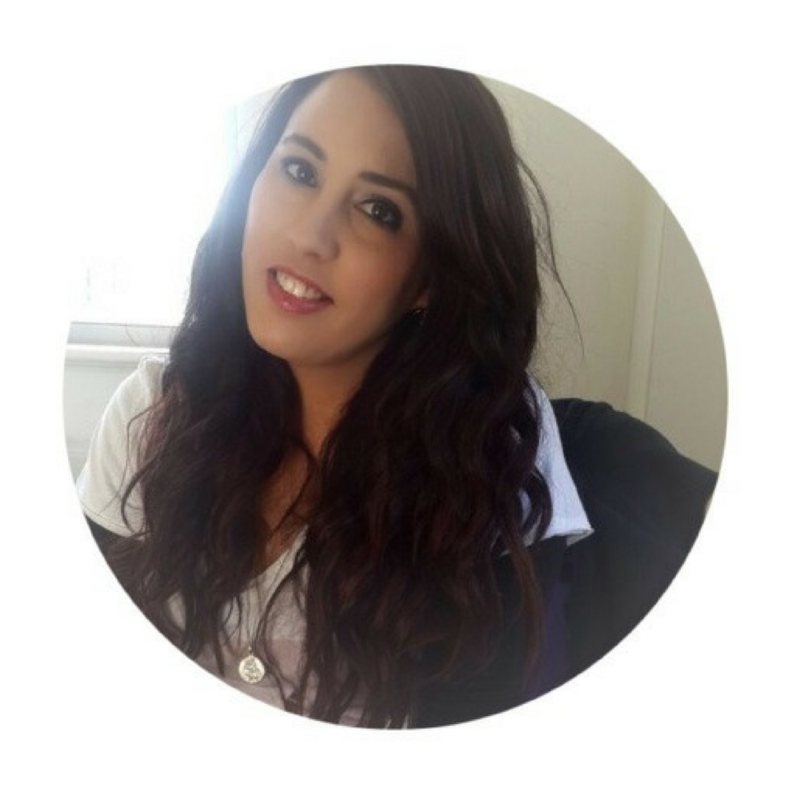 Packaging – Its a medium height bottle made of durable plastic, it has a pump action head and what i love is that you can see the colour of the foundation through the transparent bottle. 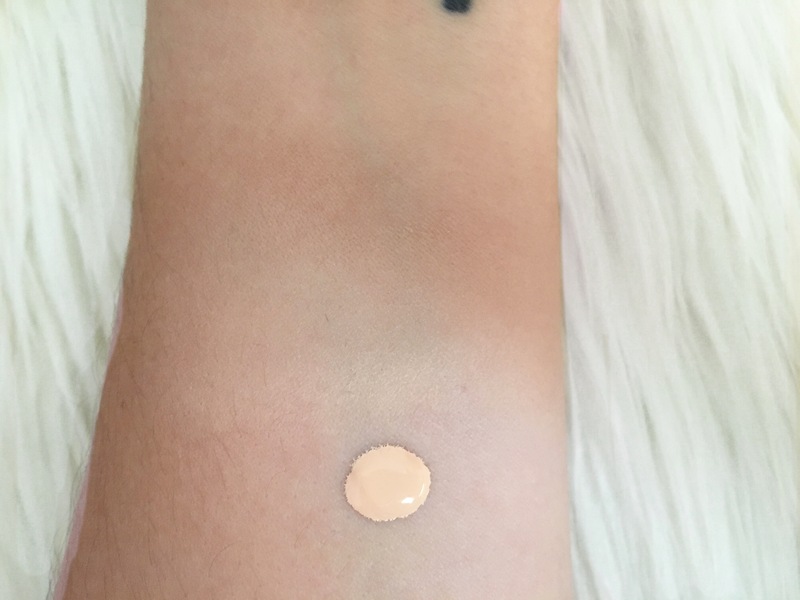 Above the dot of the liquid concealer, i have used my beautyblender to blend the product into my skin.